Pros: Fast & Friendly Installation that is Professional and Clean! Cons: Alignment can be tricky, but the Protector is cut well to fix PERFECTLY! Photodon is a great company and provides a wonderful screen protector! Application was easy and the end result is professional and functional. Everything you need is included in the box: Microfiber cloths, cleaning solution, alcohol wipes, sticky tape. Even if you don't need these items, it's nice that Photodon provides! This just shows they really care about their company, their product, and your 100% satisfaction. :) Thank you Photodon! 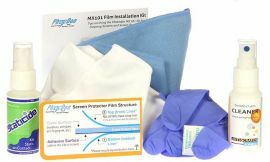 Purchase their wonderful protector today and enjoy protection for many years to come on your Surface or other device. Thanks for the wonderful review, Tyler.